November | 2017 | Learning at its best! Fun, learning and innovative thinking…CODING in ES1! When you hear the term “coding” what do you immediately think about? Something that requires hard thinking? An expertise in Mathematics or Science? Well in ES1 we are incorporating coding across the curriculum from Literacy activities to Mathematics to Science and Technology……we are all learning, both teachers and students alike. Help the BeeBot robot reach its flower. How far did the BeeBot travel? The students also worked collaboratively in small groups to think critically and creatively about how they could add complexities to their grid map with structures or barriers that the BeeBot had to be programmed to move around. The students were extremely engaged in these learning opportunities. It was at this point that our school began investigating the types of robotics that would best suit each year stage within the school setting. For ES1 we decided the BlueBots would enable students to consolidate skills already learnt but would add an extra element of challenge with connecting the BlueBot via the iPad and BlueBot app. Mapping that not only encouraged problem solving skills but enhanced opportunities for further developing communication and language skills. Coding and playing using the BluBot app. Coding can also happen without using the actual BlueBot. During developmental play the students were given the opportunity to code using the key arrow cards and help Rosie find her way home. The students were given picture cards to assist in the retelling of the story together with the actual book “Rosie’s Walk” by Pat Hutchins. The cards enabled the students to plan a sequence of steps that they could alter and change as they communicated with each member of their group to achieve their goal. 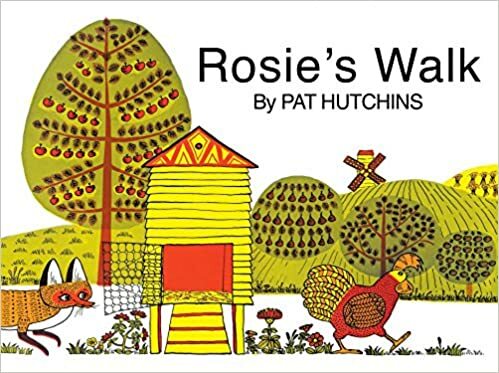 “Rosie’s Walk” combines reading, speaking and listening together with mathematical language and concepts about position. This learning experience was followed by the students combining the cards with the robot. They had to transfer the sequence of the cards to the BlueBot to see if their code was successful in getting their bee from one point on the map to the other. This is still a skill they are currently working on and the opportunities these failures and successes present are invaluable for building resilience and problem solving. How can you design a map that helps the BlueBot move around, stopping at a minimum of 4 stations to learn how objects move and get to his school on time? The students are working in small groups and began by firstly communicating their ideas and referring to a blank grid map. Then after communicating they began working collaboratively to record their ideas on the maps. There was a lot of innovative, creative and critical thinking happening. Some groups needed support with allocating roles and responsibilities. This is the first draft and our next lesson will begin with each group presenting their draft to the class for some peer feedback. Learning really does equal infinite possibilities……….FUN, EXPLORING and PLAY!